Recently there has been discussion about the genetic cause of many chronic diseases that have increased in the population in recent decades. These diseases include allergies, asthma, anaphylaxis, autism, diabetes and other neurological and autoimmune diseases: all of which have increased significantly in children after the push to increase vaccination rates in the 1990's. Whilst correlation isn't causation it needs to be investigated before the combined schedule of vaccines is recommended to the community. This study has never been done. 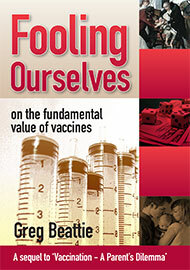 Chemicals in vaccines are known to switch on genes that would otherwise not be expressed. This science is called Epigenetics and in the past a family history of genetic diseases such as allergies and asthma, was considered a contraindication to vaccination (ie. vaccination was not recommended). This is why doctors were required to assess children before a decision was made to vaccinate. This requirement was ignored in the 1990's when vaccines were administered in school programs. At this time the number of vaccines on the childhood schedule increased and financial incentives were introduced to encourage doctors and parents to increase the participation rates in vaccination programs. Two lawsuits claiming Merck ($MRK) lied about the efficacy of its mumps vaccine won't be going away anytime soon. A federal judge in Pennsylvania refused to dismiss the suits, filed by a pair of whistleblowers and a group of doctors and payers, and now, they're on their way to trial. Media reports have claimed that there is no scientific evidence supporting the link between vaccines and autism. 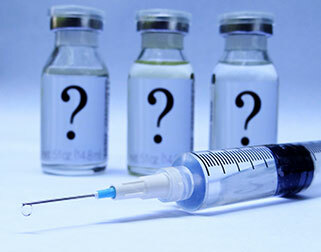 Here we provide for the reader research that demonstrates the link between vaccines and autism, and the mechanisms by which vaccines can cause autism. For the past 20 years, volunteers at VAIS have worked hard to keep subscribers informed and up-to-date on vaccine issues. We have been fortunate to draw upon a wealth of experience, knowledge, professional skills and dogged determination to keep the VAIS wheels turning. After many years of tireless effort and dedication to the VAIS cause, our database team is ready to retire, and with it, our subscription emails - this one being our last. Our website remains testimony to over 15 years of research and investigation, and is something we are all very proud of. We encourage you to share and refer to our website often. Vaccination safety and practice is as controversial issue as ever, and even though the challenges of media propaganda, political policy and big pharma seem formidable and relentless, we are delighted and renewed to see a new generation of activists emerge to continue the pursuit of truth, justice and public health and safety. To ensure you remain up-to-date with the vaccination issues, we encourage you to subscribe directly to such individuals and groups who are currently producing regular newsletters featuring press releases, calls to action and reporting the latest political and pharmacuetical developments. Thankyou to all our subscribers for your ongoing support and words of encouragement. We all continue to remain passionate about VAIS and for all that it stands for. Note: The VAIS email will remain active for general enquiry and information exchange. 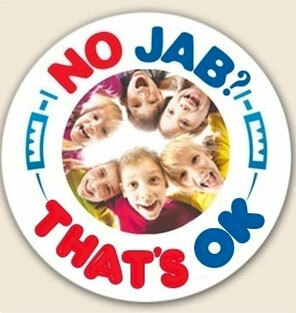 NO JAB? THAT'S STILL OK! Informed decision-making is the two-way communication process between a patient and one or more health practitioners that is central to patient-centred healthcare. It reflects the ethical principle that a patient has the right to decide what is appropriate for them, taking into account their personal circumstances, beliefs and priorities. This includes the right to accept or to decline the offer of certain healthcare and to change that decision. In order for a patient to exercise this right to decide, they require the information that is relevant to them. Consent is a basic legal principle that reflects a person's agreement to something. In a healthcare context it means a person's agreement to something being performed on them or a sample being taken from them. Informed consent, in a legal sense, reflects that a patient has received the information relevant to them to make an informed decision and they have given permission for the healthcare to be provided. In an ethical sense the provision of informed consent by a patient reflects the end point of a process of engagement in which one or more health practitioners have supported the patient to come to an informed decision to agree to the healthcare offered.